A data acquisition system acquires a signal specific to an electrical or physical phenomenon (voltage, current, temperature, vibrations, pressure, etc. ), digitizes it and records it for further processing. 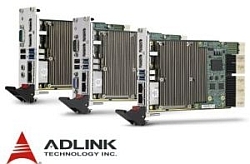 An acquisition solution can be completely integrated (units for conditioning, acquisition, recording and processing of signals embedded in the same device), or made up of modules and / or cards that are proprietary or meet bus standards PC and their adaptations: USB, PCI, PCIe, LXI, PXI, PXIe, etc.